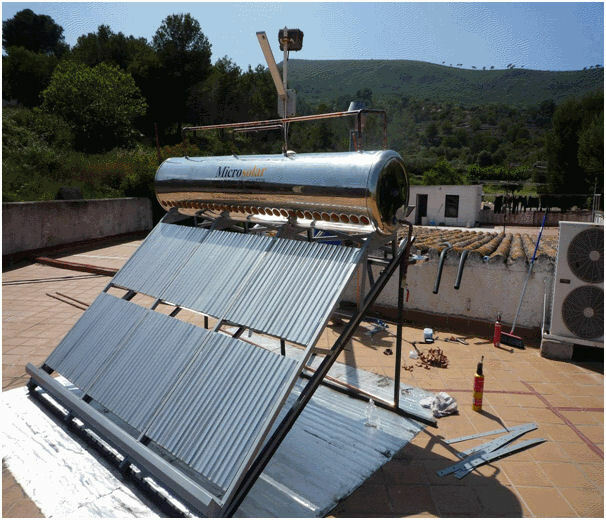 Restaurant in Tarrogona Spain 20090616Microsolar 356 litres connected with a gas boiler as preheat. Report by restaurant owner. Sensor 1 is connected at the outlet of the microsolar boiler vent pipe so the column of water which should stand in the vent pipe should be registered by this sensor. 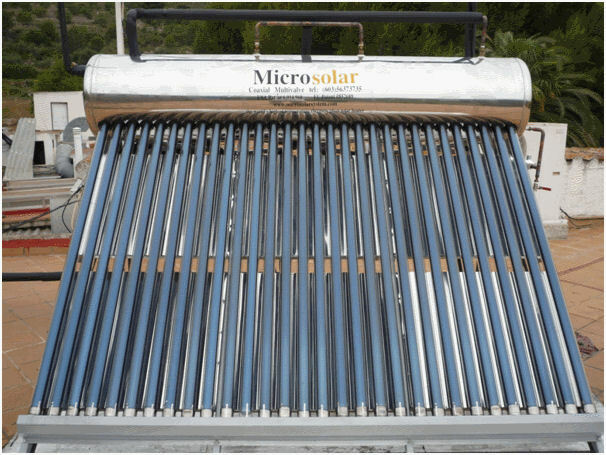 Sensor 3 is connected to the outlet of the microsolar heatexchanger so what is used for the restaurant. 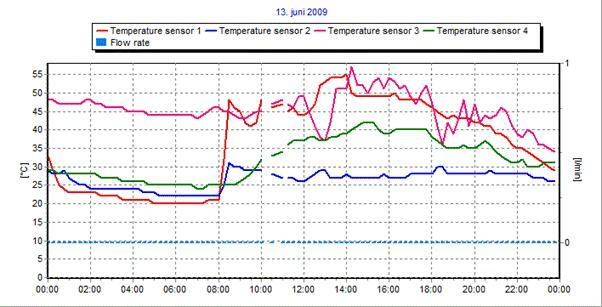 Sensor 4 is the outside temperature but this located not correctly because of the reading of the temperature is to high for example 13 june was around 27 degree and it registrates moreless 40 so i have to relocate this sensor. And i Have to see how to activate the flowrate sensor which is sensor 6. Comment by Siang (Microsolar) : the graph shows the cold water supply from the gas boiler is set at preheat of 30C and the Microsolar boosts this to 45 C to 55C over a 24 hour period without further energy input other than solar heat from the Microsolar. Over this time the hot water is being drawn off for the restaurant kitchen use but the flow rate sensor has not been activated.